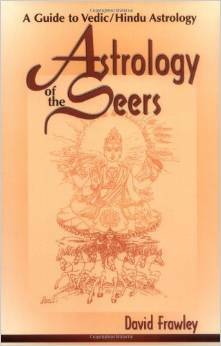 ASTROLOGY OF THE SEERS first published in 1990, is regarded as one of the classic modern books on Vedic astrology, covering all the main aspects of its theory, background and practice. It is particularly well known for its philosophical approach and poetic style. The book discusses the relationship of Vedic and Western astrology, including Planets and deities and the cycles of the Yugas. It has a special section on medical astrology and on mantras. The book was one of the first to come out in its field and the basis of David Frawley’s Vedic Astrology course and teachings. The 2000 edition has been thoroughly revised and updated and contains a number of new charts and new points of interpretation.